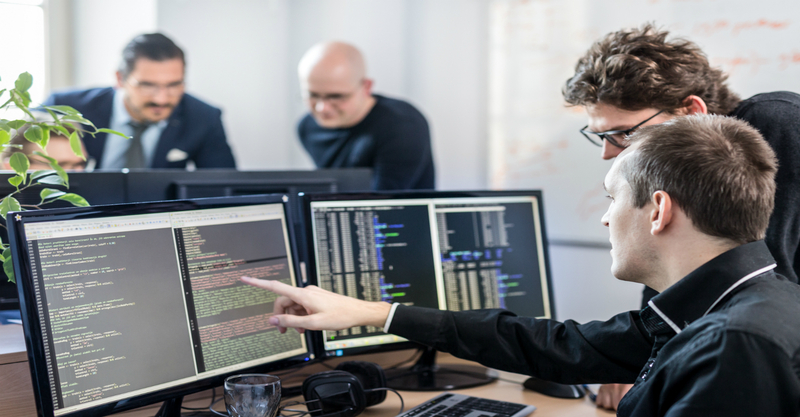 As the need for high-quality software developers continues to grow exponentially, more businesses are turning to nearshoring as a method for finding and hiring experts from all around the globe. Nearshore outsourcing (or “nearshoring) is the process of getting your work or services done by other people who live in countries that are adjacent or close to yours. For example, US-based companies will outsource their work to nearby countries like Colombia, Canada, or Mexico. Geographic proximity is important not only whenit comes to communication but also in terms of your company’s travel budget. When partnering with agencies close to home, there’s no need for expensive business trips. There’s also no language barrier to deal with—the workers are likely speaking the same language you are. Another benefit of software development nearshoring is cultural similarities with your co-workers. To give you a clearer picture of how nearshoring works, think of it as the middle ground between onshore and offshore outsourcing. Onshore outsourcing is when you contract another company in the same country, city, or area as you (literally, on your shore). Offshoring is the exact opposite; you hire workers or outsourcing agencies in countries that are geographically located far from where you are. It follows that nearshore outsourcing is the in-between; when your company contracts outsourced workers that are not in your country but are not in a completely different continent, either. In most cases, nearshore agencies will share the same timezone, language, and culture as you. Nearshore partners offer services that are high-quality and cost-efficient. You can have a product that is of the same quality—or higher, especially when compared to offshoring—at a fraction of the price you would typically pay if using onshore services. You can hire developers that possess a strong portfolio of technical skills and completed projects. For example, Medellin, Colombia, is considered the Silicon Valley of Latin America. In fact, it has earned a spot in the world’s “Top 25 Most Innovative Cities.” Imagine the untapped potential ofthe graduates and software developers there. Nearshore development partners work within the same time zone as their client or have minimal differences with them. This allows employers to have better communication with their developers. It’s also a cost-effective way to manage the people in your company. Because the time difference is very minimal (or non-existent), it’s easier and cheaper to arrange in-person meetings, should the need arise. A five-hour flight to Bogota, Colombia is nothing compared to a 14-hour flight to Mumbai, India. An outsourcing company knows how to meet your business requirements. They can gauge the scope of your enterprise so they can better help you come up with a solution that fulfills your needs while still keeping in line with your company’s vision. By taking into account factors like the type of technology available, your target audience, and the size of your business, the developers will figure out how the solution can help your company progress. Almost all startups begin with a limited budget, which is why you need to save as much as you can during the early stages of your business. Studies have already shown that many startups fail because they run out of cash before they can break even or reach a comfortable, sustainable cash flow. Nearshoring is a great way to significantly cut costs. Having an in-house software development team may seem cheaper but it’s actually not. Hiring low-cost labor puts you at risk of making bad hires, which can lead to higher costs—instead of helping you save money—in the long run. This is not the case with software development nearshoring. If the company is reputable and known for their quality, it follows that the developers they source for you are reputable and high-quality as well. 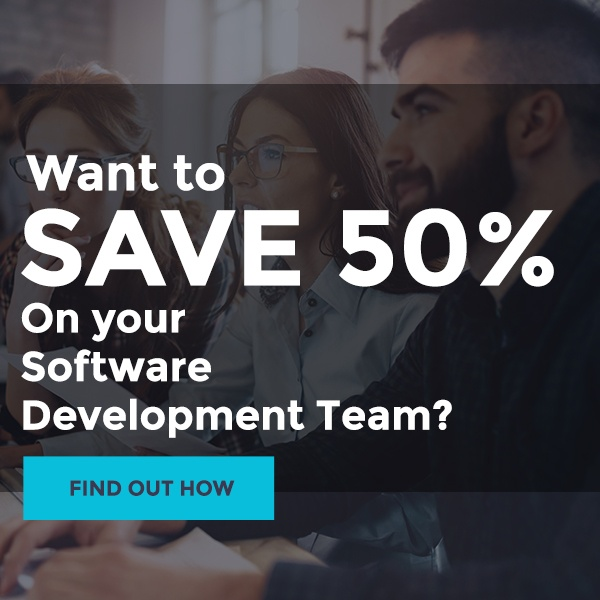 Find out how Bydrec can save your 50% on software developer new hires here! Every second counts for all kinds of businesses. That includes startups. Working with nearshore software developers helps your business save time in a number of ways. For instance, unlike how it is when you hire an in-house group of developers, the software development partner’s employees already work together. This eliminates time invested in training, onboarding, initial introductions, bonding exercises, and so on. You can save lots of time if you trust the recruitment process to a nearshore company instead of trying to juggle all of it on your own. Working alongside a nearshore development company will give you access not only to impressive talent but also to a wealth of information that could also help you improve your product. Hiring partners that have been in the industry for several years can teach you valuable lessons about different projects and a wide range of industries. Because they have considerable experience and talent, you stand to benefit from their capability to easily understand your company’s needs and tackle any challenge that could come their way. A company that specializes in software development is no doubt an expert when it comes to developing a solution suited for their clients’ business objectives. Software development nearshoring companies constantly train their people and encourage renewing their education. This way, they’re kept up-to-date on the latest technological advancements. They also have the know-how necessary to elevate your company’s standards in software development. Overall, software development nearshoring is one of the best moves you can make as a startup company—before and after you breakeven. It is cost-effective, time-efficient, and promises excellent results that can rival onshore and offshore agencies. 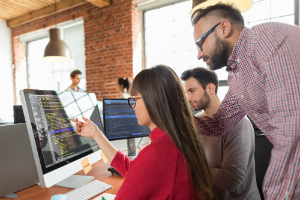 While having your own in-house software development team is still hugely beneficial, you’ll find that nearshoring gives you more bang for your buck on multiple occasions.